Founded in 1990, Design Blind And Drapery Service celebrates over 25 years of delivering the highest level of service to our broad base of clients. We specialize in designing and creating custom window treatments. We offer professional design consultation services, installation and repairs. We are also an authorized Hunter Douglas Dealer and service center. We provide superior product and services which include professional installation by industry professionals and window covering repairs! The elements we use to accessorize and design homes are always sleek and upscale. 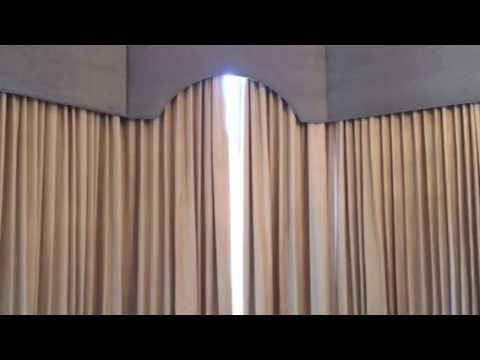 See an example of our custom-made work: Motorized sheers with lined overdrape and upholstered cornices with radius corners. Explore creative ideas and smart solutions for your windows with our online brochure. It's the ideal introduction to Hunter Douglas window coverings, available at Design Blind & Drapery Service Inc.
Design Blind & Drapery Service Inc offers a large selection of custom Hunter Douglas window treatments, including sheers and shadings, honeycomb shades, shutters, horizontal blinds, vertical blinds, Roman shades, roller shades, and woven wood shades. We serve Martin county, Palm Beach county, St. Lucie county, Indian River county, and Brevard county. Please contact us, and let us know how we can help you.